These injectable fluids smooth fine lines and deep wrinkles caused by facial movement. They create a subtle effect that makes a big difference in restoring youth. Their application is brief, with little to no downtime or side effects, and results that typically last 3 to 4 months. A pioneer product in anti-aging, Botox was the first FDA-approved injectable used to smooth wrinkles on the upper face. Crow’s feet, frown lines and furrowed brows are no match for the trusted formula, which is also used in other areas, such as neck band creases. Botox is still the most popular product of its kind and works by deactivating the persistent, wrinkle-causing muscle contractions developed as we age. Results appear within 24 to 48 hours, with maximum effect visible at 30 days. Dysport is a Botox-like solution used to smooth wrinkles caused by facial movement. The FDA-approved brand performs much like Botox, is similar in formula, and treats the same target areas. There are some differences to consider in dosage and diffusion. Our dermatologists and medical staff can advise you on the best choice for your needs. 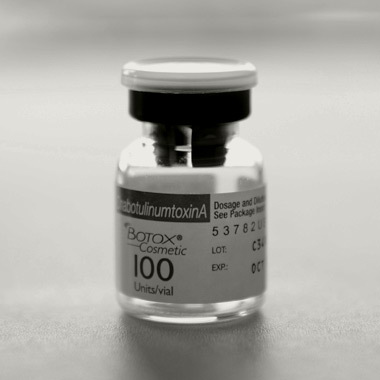 Xeomin is another FDA-approved prescription injectable in the category of Botox. It’s used for the same purpose and achieves similar results, but Xeomin is formulated with no additive proteins, making it a great option for patients with sensitivity.